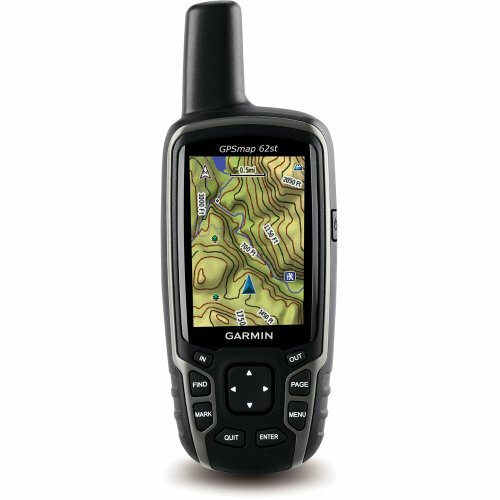 The Garmin GPSMAP 62ST Waterproof Handheld Navigator with 100K Topo Maps features a 3-axis tilt-compensated compass, a barometric altimeter, preloaded 100K topo maps and supports Custom Maps, BirdsEye Satellite imagery (subscription required) and photo navigation. 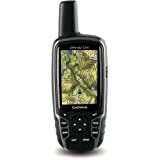 Rugged and waterproof, this navigator employs a quad helix antenna for unparalleled reception, has a high-speed USB connection, a sleek new design and connects wirelessly to compatible Garmin handhelds. It comes with built-in U.S. 100k topographic data for the continental U.S. and a worldwide basemap with shaded relief — all the tools for serious climbing or hiking. Map detail includes national, state and local parks and forests, along with terrain contours, elevation information, trails, rivers, lakes and points of interest. Built-in 100K topographic data for continental U.S.